Held annually, the SF Design Week Design Hub is the place for designers of all levels and backgrounds to come together to celebrate the trade. Last year the students at CCA participated by creating postcards to the president a station where anyone could create a postcard to send to the President, free of charge. 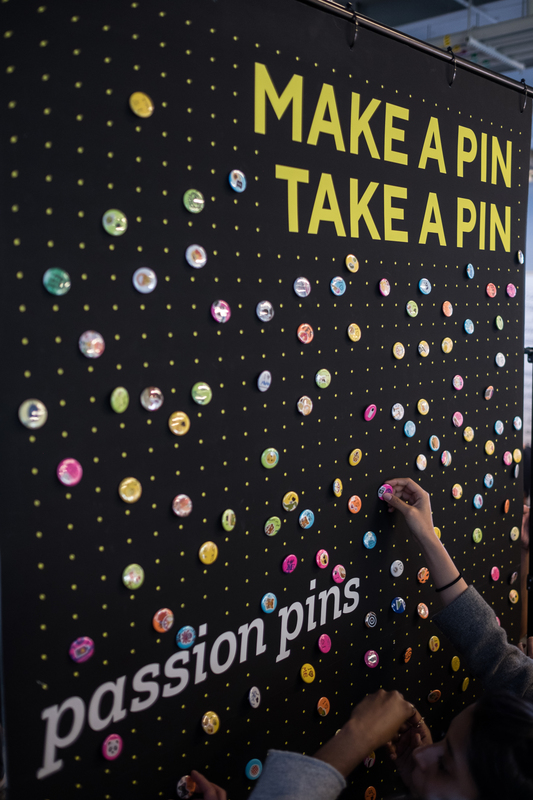 This year CCA’s AIGA student group continued with the tradition by creating a button-making station called Passion Pins. 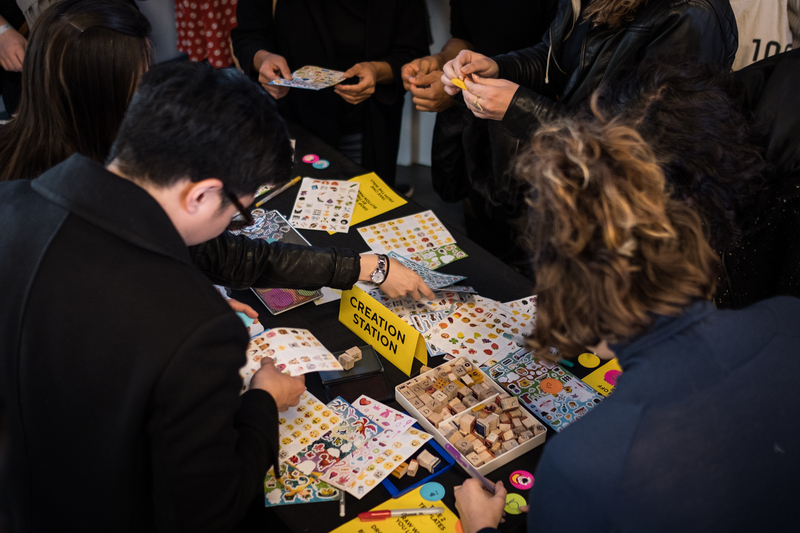 Throughout the opening night reception, visitors swarmed the students’ station, using recycled materials, stickers, and other supplies to craft hundreds of original and uplifting pins. In a creative twist, participants were invited to leave the pins they’d made and take pins made by others, which sparked community and connection throughout the evening. 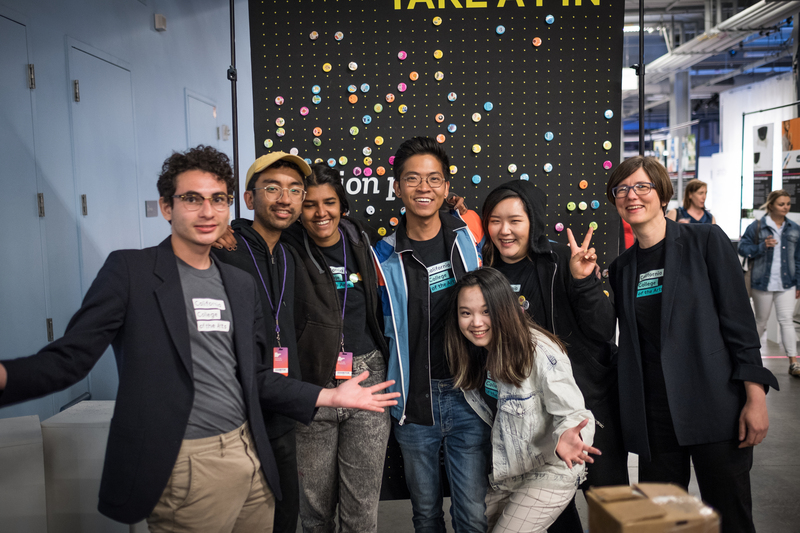 Thank you to the CCA AIGA student group and educators for bringing your interactive exhibit to San Francisco Design Week 2018! SF Design Week on June 27, 2018 .